The band played two local shows in Copenhagen before appearing in a large psychobilly festival in Hamburg, Germany only six months after the band’s formation. This lead to a record deal for their first album, Hellbound. Nekromantix began touring Europe heavily. At the time, the psychobilly scene was largely dominated by English bands. The band recorded a second album in 1991, Curse of the Coffin which resulted in some MTV play. 1994’s Brought Back to Life became the only psychobilly album so far to ever be nominated for a Grammy award. The band was signed to Hellcat Records in 2001, due to record label owner Tim Armstrong of punk rock band Rancid being a long-time fan of the band. Their fifth album and USA debut, Return of the Loving Dead, was recorded in Los Angeles and released in 2002. A sixth album, Dead Girls Don’t Cry, was released for Hellcat in 2004, with Nekroman recording bass and vocals in Los Angeles while the Sandorff brothers recorded their respective parts back in Denmark. 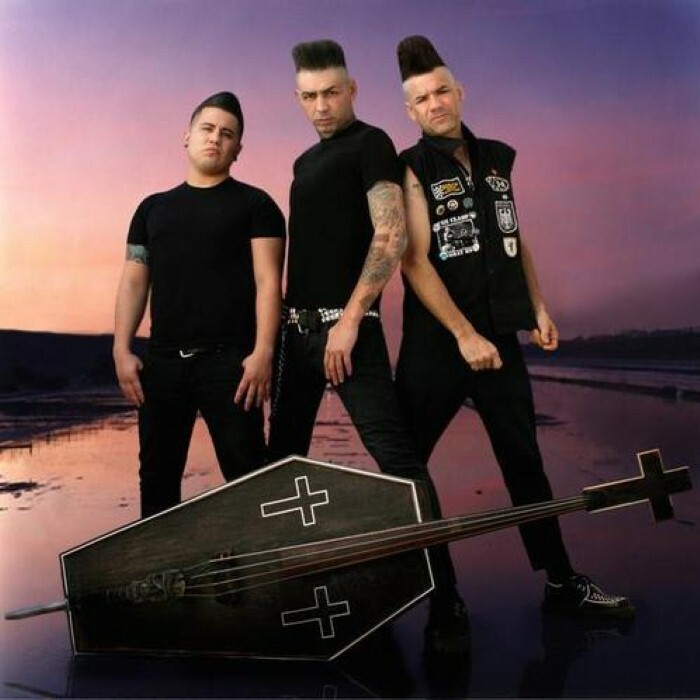 Kim Nekroman’s signature coffinbass has gone through many incarnations, the first of which being fashioned out of an actual child’s coffin. The child’s coffin, however, did not produce an excellent sound, so Nekroman built another himself with better acoustics. Over the years he has made a handfull of the instruments, the most recent update being collapsable for easier transportation.